On Creation Day 6 God planted a garden in the east in Eden (Genesis 2: 8-9). Most scholars believe that the location of Eden “in the east” is in reference to Israel, where Genesis was probably written. In the ancient Hebrew language, Eden means “delight.” The Garden of Eden was a place of pristine and abundant natural beauty. All manner of plants were present. A river ran through Eden to water the garden. The Bible did not give the river a name. After leaving Eden, the river formed the headwaters of four rivers: the Pishon, Gihon, Tigris and Euphrates. It’s tempting to conclude that Eden was located near present day Iraq because rivers named Tigris and Euphrates are located in Iraq; however, these Iraqi rivers are probably not the original rivers named in Genesis. The devastating flood of Noah’s time destroyed and changed the topography of the land. Later peoples probably named the present day rivers Tigris and Euphrates in the same manner that early American colonists named American locations after sites in Europe, e.g., Lancaster, Pennsylvania. 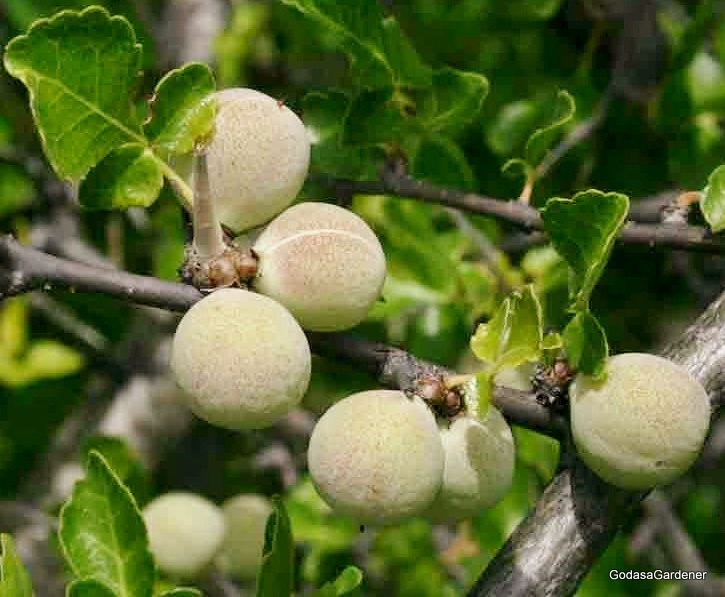 Bdellium’s genus and species names are Commiphora africana. The generic name ‘Commiphora’ is based on the Greek words ‘kommi’ (gum) and ‘phero’ (to bear). The bdellium is a deciduous tree indigenous to sub-Saharan African. In 2012, bdellium did not appear in Israeli plant data bases. Bdellium grows best in red or sandy clay and rocky ground to include from escarpments. It leafs before or at the beginning of the wet season and loses leaves as the dry season begins. If rainfall is sparse and interrupted, two crops of leaves may be produced. Underground roots spread many feet around the tree in search of water. The bark is pleasantly scented and exudes a clear gum or resin. Nomadic peoples use the bdellium tree for several purposes. Roots of young plants have a sweet taste and are chewed. Timber is used for stools, milk containers, spoons and on occasion for building houses. Bark is brewed for red tea. Soft gum is eaten while hard gum is used to make arrows. Fruit is chewed to prevent gum disease and stop toothaches. In ancient Egypt women carried small pouches filled with bdellium pieces as a source of perfume. Reflection: Nothing can stop God from loving us. What stops us from loving God. Remember is we love God, we obey him. Copyright July 8, 2011, Carolyn A. Roth; all rights reserved.